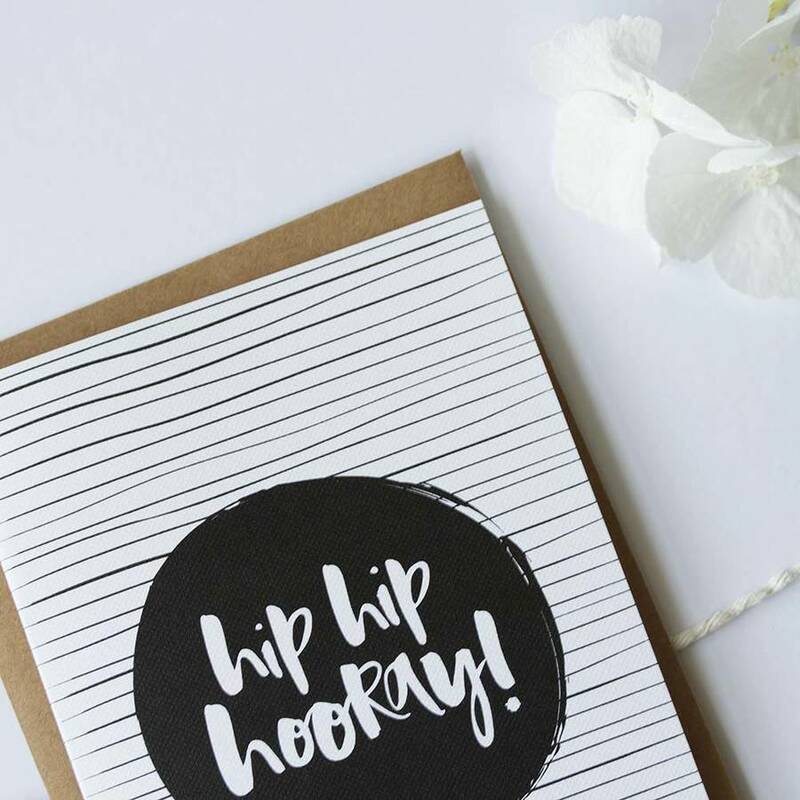 A contemporary hand lettered birthday card with a playful twist! 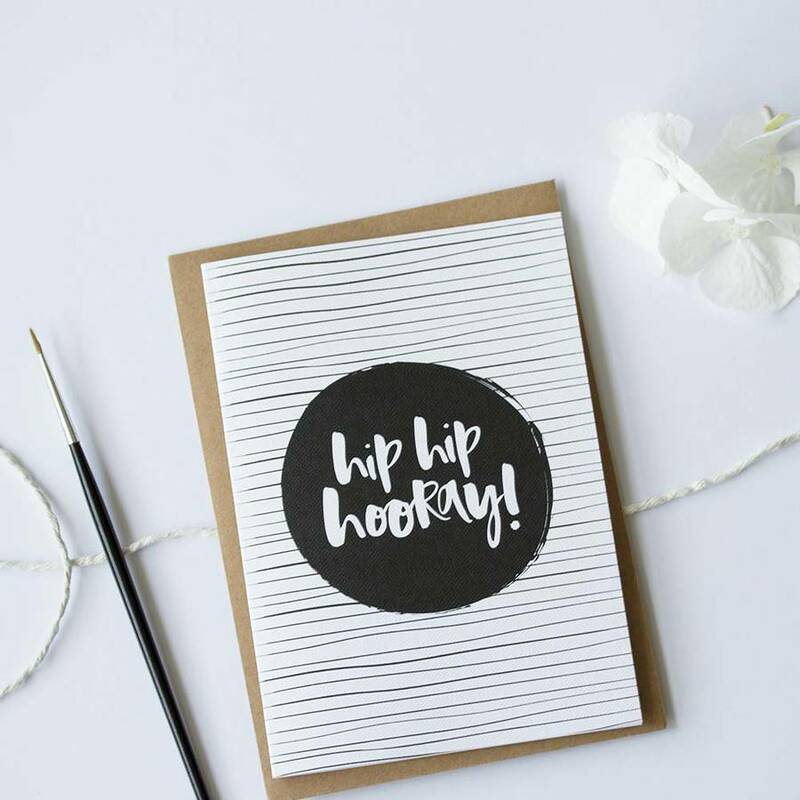 Our brand new luxurious collection of hand lettered greetings cards are designed with a whole heap of love and playful twist. 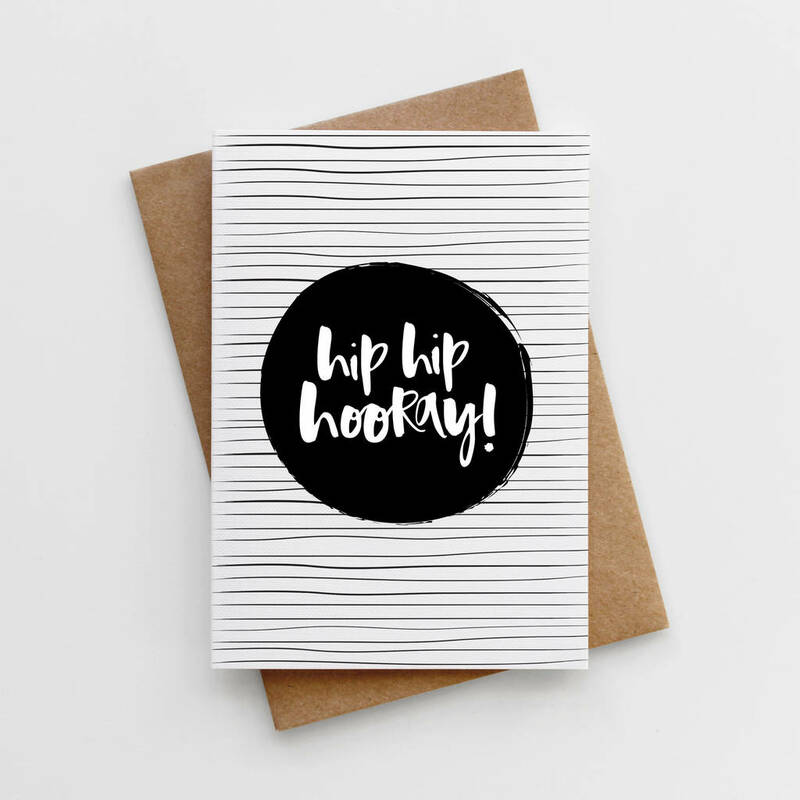 The perfect card to wish some special a Hip Hip Hooray on their birthday! 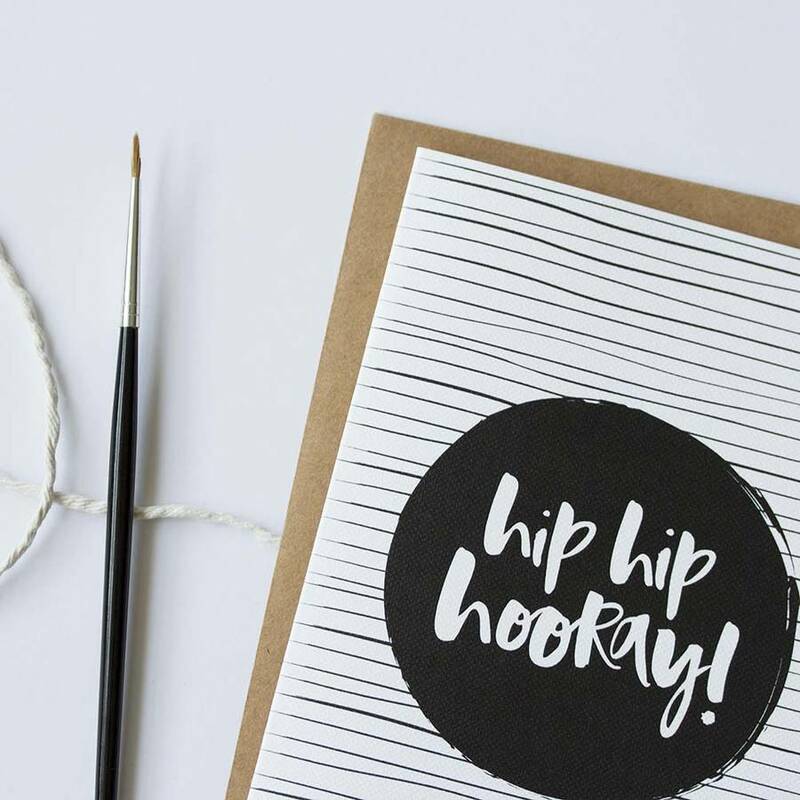 Our unique, contemporary and eye catching designs are created by hand using a Japanese brush pen and rich black Indian ink and printed on to the finest and extra luxurious FSC certified 350sgm textured card and teamed with our recycled brown kraft envelope. 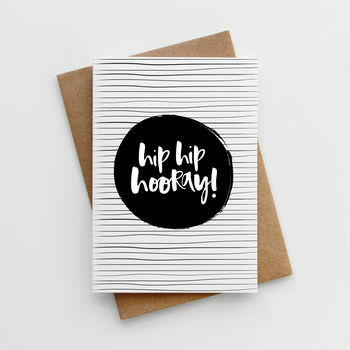 As a popular general birthday card choice, we also offer the option to purchase this card in packs of 3 or 5 which includes a small saving per card!